With its elegant, curved neck, prominently featured vintage-inspired Edison bulb and glossy chrome finish, the Hoyt offers a simple, contemporary approach to a floor lamp silhouette. Perfect for warm, reading light in the living room or ambient light in the corner of a bedroom. 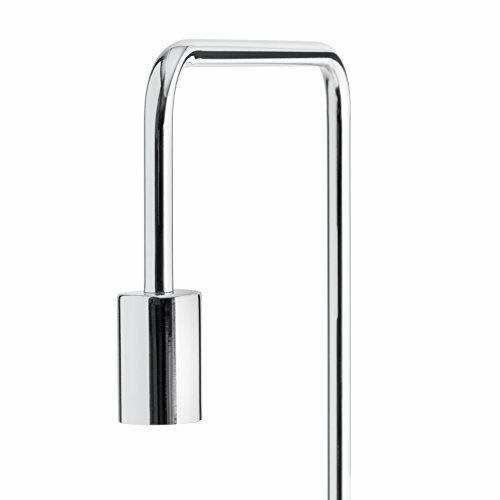 STYLISH & VERSATILE DESIGN ✓ - Features a glossy chrome floor lamp silhouette with an elegant neck and exposed bulb design. 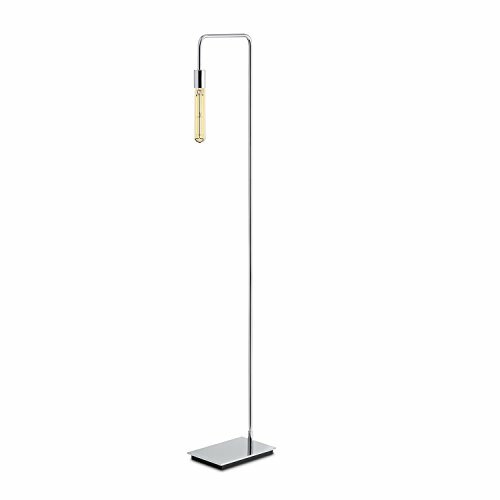 This floor lamp is a perfect light piece for bedrooms, living spaces, and offices. FULLY DIMMABLE FLOOR LAMP ✓ - The Vintage-inspired, black fabric cord includes an in-line full range dimmer switch for adjustable mood light (in-line dimmer is 2 Feet from the base, 6 Feet from the plug). 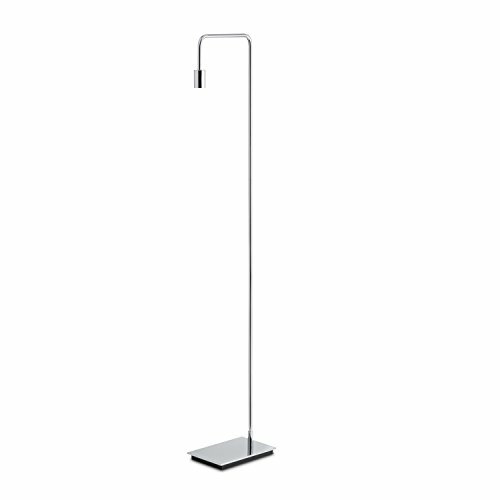 TALL & SLIM - PRODUCT DIMENSIONS ✓ - Product Dimensions: 11"L x 7"W x 60"H | Base Dimensions: 11"L x 7"W x 0.7"D | 8 Foot Black Fabric Cord. SHOP THE LOOK ✓ - The main image features Brooklyn Bulb Co.'s Silver Tipped G40 Edison Style Bulb, ASIN: B012OQEPD0 (Bulb sold separately - available for purchase on Amazon Prime). CUSTOMER SATISFACTION GUARANTEED ✓ - We are looking out for your absolute satisfaction! Please contact our US based support team by phone or seller messages for all questions or concerns. 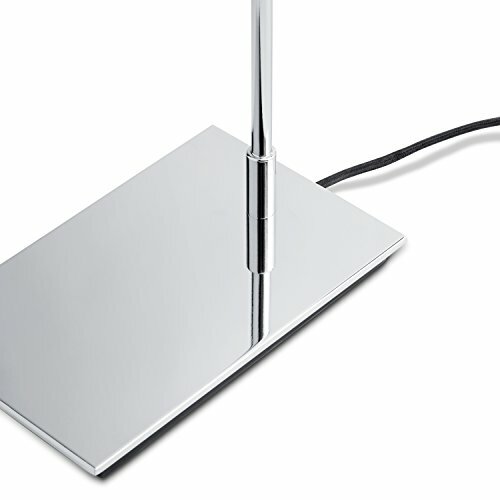 This Contemporary Chrome Floor Lamp has a 1 year limited warranty.